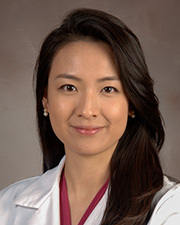 Stella Kim, PsyD, is a clinical neuropsychologist and an assistant professor in the Department of Neurology at McGovern Medical School at The University of Texas Health Science Center at Houston (UTHealth). She specializes in neuropsychological evaluation of adult and geriatric patients with neurological disorders, including dementia, movement disorders, autoimmune disorders, and cerebrovascular disease. She also conducts pre/post-surgical evaluations and assessment of mood and other psychiatric disorders. Dr. Kim’s research interests include cognitive and psychological functioning pre/post-treatment for Parkinson’s Disease, cross-cultural issues in neuropsychology, and psychometric properties of neuropsychological measures.